There are a lot of laptops available in the market today with tons of different specifications each. But developers and programmers have a variety of requirements which not all laptops can fulfill. Programming is a hefty profession and apart from the intellectual requirements, it requires great hardware. Some programmers need fast processors to compile codes, some need dedicated graphics to do graphical tasks and some need a lot of memory to actively process as much information as they can. These tasks are taken care best with high-end desktop PCs but at times portability can be a tremendous advantage for a programmer. Fortunately, technology has advanced enough that a programmer can accomplish his tasks on a laptop with ease without caring about the processing power. We all know about the computer products of Hewlett-Packard (HP). HP ZBook 17 G5 is the fifth generation product of its ZBook series and its one of the fastest mobile workstation in the world. A wide range of processors is available for this model starting from Intel Core i5-8300H all the way up to Core-i9 8950HK or Xeon E-2186M having six cores and 12 threads. As it is a workstation-class laptop, it can also be used with ECC RAM sticks providing accuracy and lower failure rate. The laptop offers two 2.5″ bay for storage devices although we will recommend using only NVMe drives as there are three M.2 slots available providing high-speed I/O operations. A dedicated graphics card can also be installed with a lot of options available from Nvidia Quadro P1000 4-GB to Nvidia Quadro P5200 16-GB. If you care about screen uniformity and color quality, then it should be on top of your list as it comes with up to 17.3″ Anti-Glare 2160p DreamColor display with wide-gamut color space support. 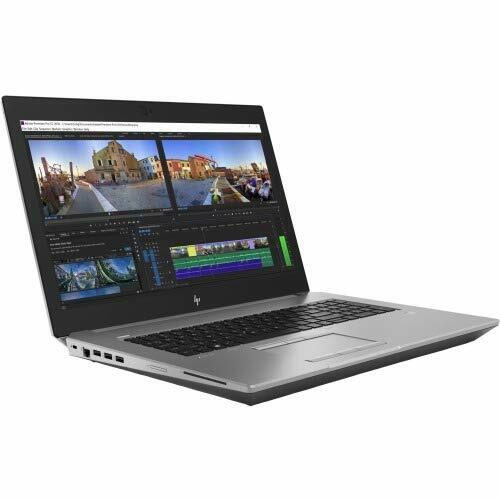 HP ZBook 17 G5 comes with a 6-cell 95.6-WHr battery which is much more than a battery of a standard high-end laptop and is powered by a 200-watt AC adapter. It is integrated with a 720p webcam which could be of higher resolution, though 720p in a video-call is enough for most users. As for the cooling solution is concerned, two thick heat-pipes are used inside the laptop along with two fans which keep the temperatures within the limits. During test runs, the temperature of both processor and graphics card were just on the right level because of the significant cooling solution integrated into the laptop itself. Also when buying the consumer gets to choose from a variety of specifications for their own personalized needs. The keyboard is back-lit and spill-resistant which is a premium feature. We believe that this will be a perfect laptop for any developer whether he/she works on non-graphical applications or graphical applications. Dell Precision 7730 is one of Dell’s products for the design software like AutoCAD as the name “Precision” indicates. It offers similar processing capabilities to that of the ZBook but comes with a rather simplistic design. Its storage capabilities exceed those of that HP ZBook by use of one SATA (only available if you choose the 4-cell battery) and four M.2 slots. Users can install dedicated graphics cards, with many high-end options available such as Nvidia Quadro P5200 16-GB or AMD Radeon Pro WX7100 8-GB. It has a 17.3″ panel which can be customized with options ranging from a TN display having a resolution of 900p to an IGZO IPS display having 4K resolution with a premium panel guarantee and 100% Adobe-RGB color space. 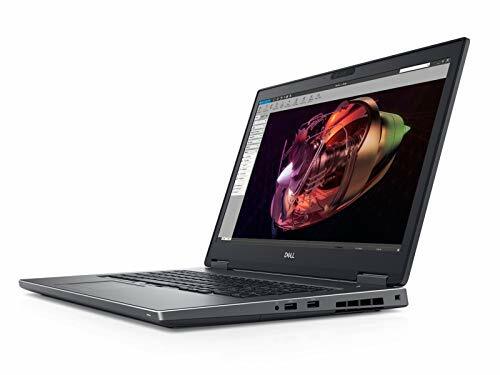 Dell Precision 7730 comes with two types of batteries, one is a 4-cell battery with a 64-WHr rating and the other is a 6-cell battery with a 97-WHr rating. The 4-cell battery not only curtails weight but also accommodate space for a 2.5″ drive albeit the fourth M.2 slot is not available in this configuration. A sufficient cooling solution is implemented with three heat-pipes and two fans. Some optional accessories are also available with the laptop such as Dell portable Thunderbolt SSD, a Dell professional backpack 17 and Jabra Evolve 75 wireless headset. The storage capabilities of this laptop are superb with 4 x 2-TB M.2 NVMe drives (8-TB total) being the fastest possible combination. Dell precision 7730 was very promising during the testing session with performance rivaling that of the HP ZBook and the thermal behavior was also under control. It is a great alternative to HP ZBook 17 for users leaning towards storage capacity while compromising on screen quality and appearance. What would be a list of laptops with no Apple product in it? A large number of people use Apple operating system, and find it difficult to work on the Windows platform. 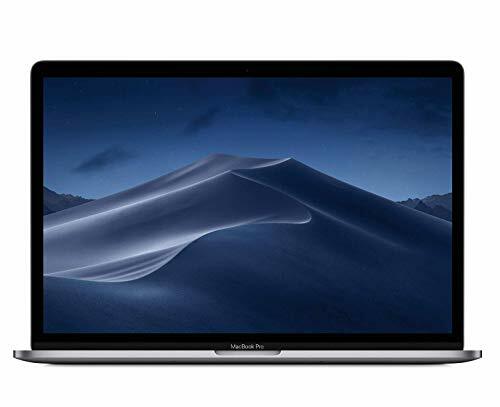 Apple MacBook Pro 15 is the company’s latest model in the MacBook Pro series. This laptop comes with either Intel Core-i7 8750H or Core-i9 8950HK processor though both are hexacore processors with Hyper-Threading enabled. The laptop supports up to 512-TB of storage capacity which can be customized to a total of 4-TB with upgrading. Only AMD graphics cards are available with this laptop namely Radeon Pro 560X, Radeon Pro Vega 16 Radeon PRO Vega 20, though a high-end Nvidia graphics card could improve things a lot. It has a 15.4″ Retina display with True-Tone technology, supports wide-gamut color space and has a resolution of 2880 x 1800 with a maximum brightness of 500 nits. We noticed around thirty percent improvement in CPU performance in comparison with the 2017 model MacBook which is a tremendous jump. The battery also lasted ~8% more than the previous generation laptop. It is advertised to have a battery timing of 10 hours which is a very nice timing for such a high-end laptop. The laptop also supports a touch-bar with 128-MB embedded graphics memory which can be very advantageous at times. The laptop offers a backlit keyboard and includes only four Thunderbolt ports along with a power adapter port which forces the users to buy external converters if they want to use USB or other I/O devices. We will only recommend this laptop if you find it difficult to work on windows platform and prefer a long-lasting battery. 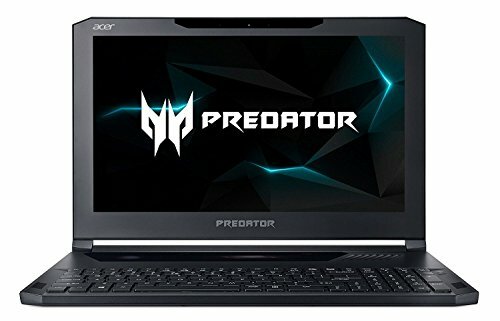 Acer is a famous brand for designing the world’s most powerful gaming laptops and Predator Triton 700 is one of them. It is a laptop with a slim and fashionable gaming-oriented design which supports 7th generation Intel Core-i7 7700HQ processor, a quad-core processor with eight threads. It comes with a maximum of 32-GB DDR4 RAM and 512-GB PCIe M.2 NVMe drive. This laptop is a very attractive product for game developers due to specific features which include a 15.6″ 120-Hz IPS GSync 1080p display along with Nvidia GTX 1080 Max-Q design. It also offers Killer Gaming Network LAN and Killer Double Shot Pro WLAN which are high-end gaming networking components. During testing, we felt that the temperature of the graphics card was a little high but with a bit of under-volt it came under control. We also noticed slight bottlenecking in gaming sessions as the quad-core processor was unable to fully take advantage of GTX 1080. As for the battery, it supports a 3-cell battery with a 54-WHr rating and an average battery timing of two hours. The laptop has an RGB-backlit keyboard and two stereo speakers with optimized Dolby Atmos sound enhancement. The cooling solution is very well designed with five heat-pipes and two All-Metal Aero Blade 3D fans which efficiently dissipate heat from the laptop. If you want to buy a laptop for game development then this product should be on top of your list as it provides exceptional graphical performance and high refresh-rate screen panel along with Nvidia GSync technology which can be helpful to make the games compatible with market’s high-end gaming monitors. 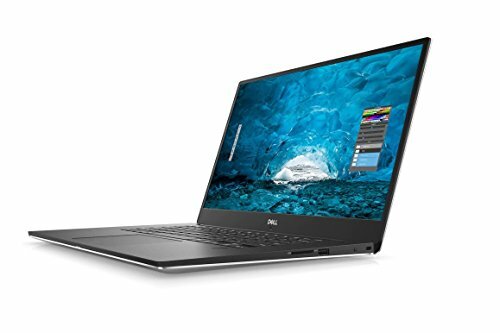 XPS series by Dell are ultra-thin laptops with powerful features and Dell XPS 9570 is the latest model in the series. It supports 8th generation Intel Core-i7 8750H and Core-i9 8950HK hexacore processors with a maximum of 32-GB DDR4 RAM. It can be upgraded to a maximum of 2-TB SSD taking use of a single M.2 slot. Despite having a thin design, it comes with dedicated graphics card Nvidia GeForce GTX 1050 Ti which is not a high-end graphics card but well enough to support almost any graphical application. It has a 15.6″ InfinityEdge Touch display providing a maximum resolution of 3840 x 2160 (4K) and supports 100% Adobe-RGB color space with a maximum brightness of 400 nits. Upon testing this laptop for various benchmarks, this laptop performed way better than any other ultra-slim laptop, especially in CPU performance. The graphical performance was also superior but not it is not comparable to high-end laptops. Dell XPS 9570 comes with a high-end 6-cell battery with a rating of 97-WHr and a 130-watt AC adapter. It comes with a backlit full-size keyboard and a touch display to enhance the input functionality which can be pretty useful for developers. The laptop has two heat-pipes inside along with two fans which provide enough cooling as GTX 1050 Ti is not a high-end model. With high-end specifications, low weight and thin design, it can be a perfect product for an average developer as portability is a very handy feature.